Mix ground beef, soup mix, and garlic salt together. Add bbq sauce and simmer for at least 15 minutes. Musing on the past year…and on my plans for the future. So here we are, last week of 2011. When I think of the things I planned for this past year, I realize that my life has taken a couple unexpected turns. I looked at the goals I wrote here at the end of last year and haven’t accomplished any of them. HA! Not really surprised but I have accomplished so much more than I ever expected. The Phd plans have been put on hold by my other plans which I will go into in a few. the level three isn’t done but it will be soon. Writing… I miss writing. Need to get back to that sometime soon. 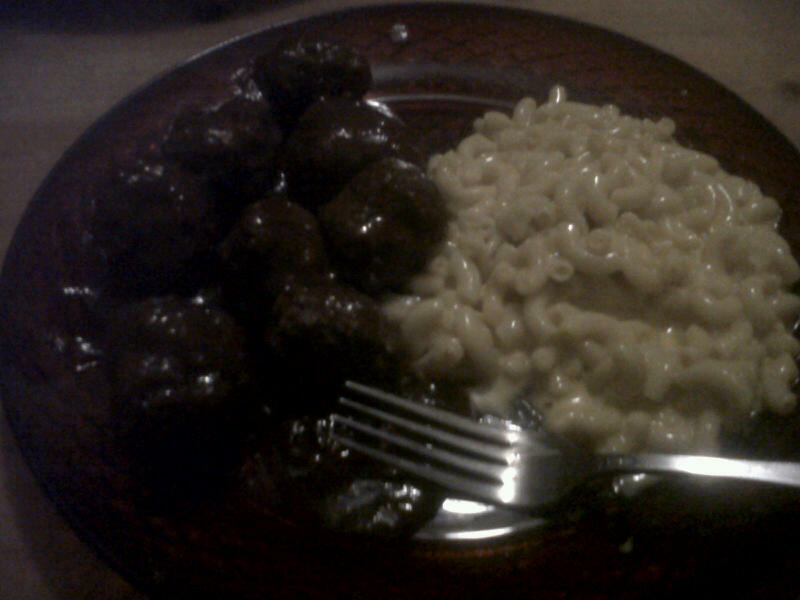 This blog was supposed to be writing and recipes but has become mainly recipes. No, I haven’t gotten organized, although the room I mentioned last year may actually get cleaned out this week. I didn’t lose weight, although I did join a gym the beginning of December. I have been working out 3-4 times a week, so hopefully that will happen. So what did I do????? I worked with my good friend Margaret Woods to write a charter school application. it didn’t pass but it will this year. We are starting to work on it again so we can resubmit it this summer. I have nearly finished my administrator’s license so that when the school gets approved I will be ready to be the principal. This has been a great year! I have taken a path I didn’t expect and in return found some measure of confidence. Love my life and looking forward to the journey! Long before the Romans occupied parts of Germany, special breads were prepared for the winter solstice that were rich in dried or preserved fruit. Historians have traced Christollen, Christ’s stollen, back to about the year 1400 in Dresden, Germany. 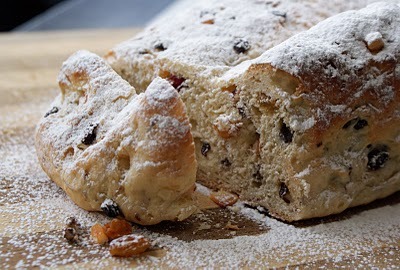 The first stollen consisted of only flour, oats and water, as required by church doctrine, but without butter and milk, it was quite tasteless. Ernst of Saxony and his brother Albrecht requested of the Pope that the ban on butter and milk during the Advent season be lifted. His Eminence replied in what is known as the famous “butter letter,” that milk and butter could be used to bake stollen with a clear conscience and God’s blessing for a small fee. Originally stollen was called Striezel or Struzel, which referred to a braided shape — a large oval folded in half with tapered ends — said to represent the Baby Jesus wrapped in swaddling clothing. Around 1560 it became custom that the bakers of Dresden give their king, the ruler of Saxony, two 36-pound stollens as a Christmas gift. It took eight master bakers and eight journeymen to carry the bread to the palace safely. This custom was continued for almost 200 years. In 1730 Augustus the Strong, the electoral prince of Saxony and the King of Poland, asked the Baker’s Guild of Dresden to bake a giant stollen for the farewell dinner of the Zeithain “campement.” The 1.8-ton stollen was a true showpiece and fed over 24,000 guests. To commemorate this event, a Stollenfest is held each December in Dresden. The bread for the present-day Stollenfest weighs 2 tons and measures approximately 4 yards long. Each year the stollen is paraded through the market square, then sliced and sold to the public, with the proceeds supporting local charities. Although there is a basic recipe for making the original Dresden Christollen, each master baker, each village and each home has its own secret recipe passed down from one generation to the next. There are probably as many recipes for stollen as there are home bakers. The commercial production of Dresden stollen is carefully licensed and regulated to ensure quality and authenticity. Authentic German stollen is usually sprinkled heavily with confectioners’ sugar prior to serving. To serve: Sprinkle heavily with confectioners’ sugar just before serving.